Start of the deep summer blooms are beginning to show up. 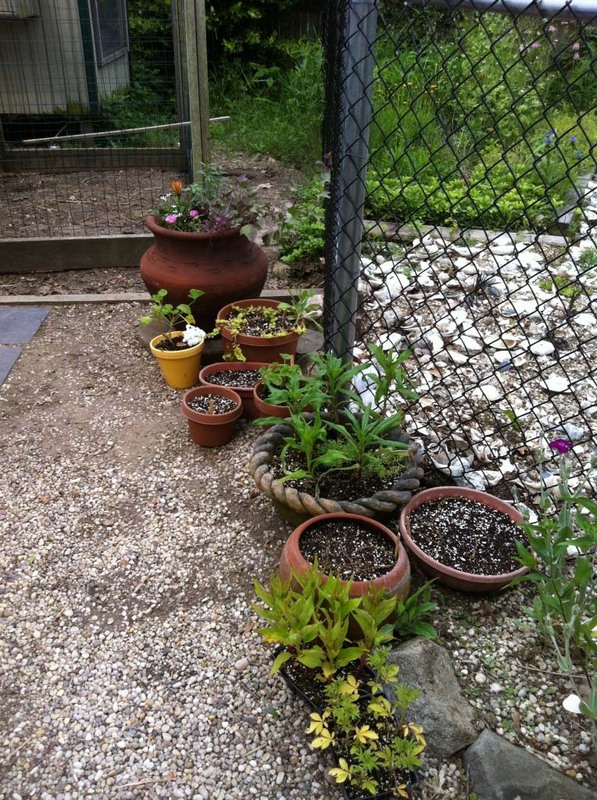 Some of the flowers growing are Bridal Veil Spiraea, Mock Orange Tree, Double Mock Orange Tree, Aztec Sunset Zinnia, White Snapdragon, Lavender, Hyacinth, Hosta, Volunteer Snapdragons, Crabapple Ruby Tears, Rose Campion blooms, Cannas, Gazania, Portulaca, Allysum, Lobelia, Geraniums, Rosemary, Tuberose Blubs, Ranunculus, and Kousa Dogwood. 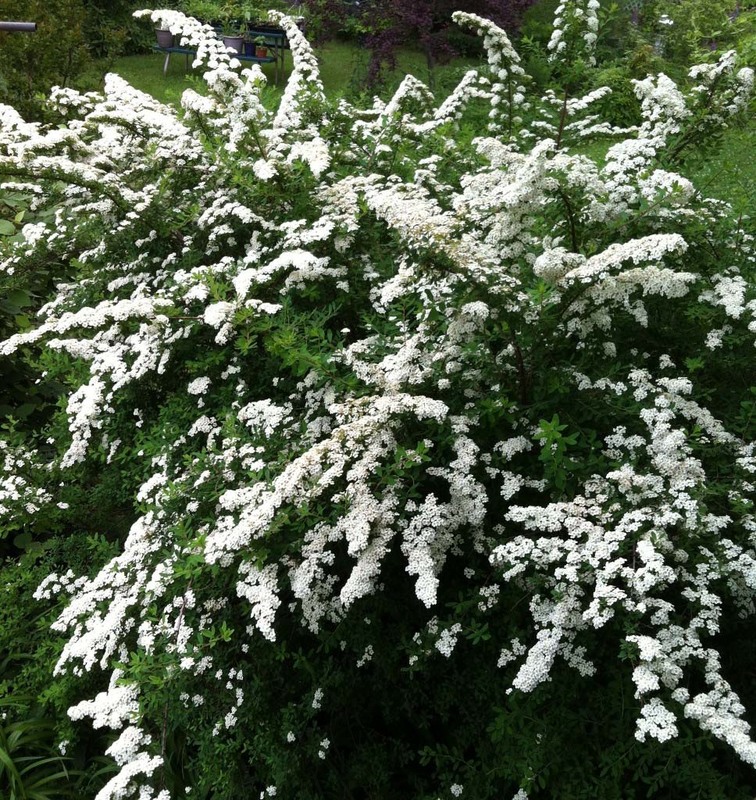 Bridal Wreath or Bridal Veil Spiraea blooms near the front door. 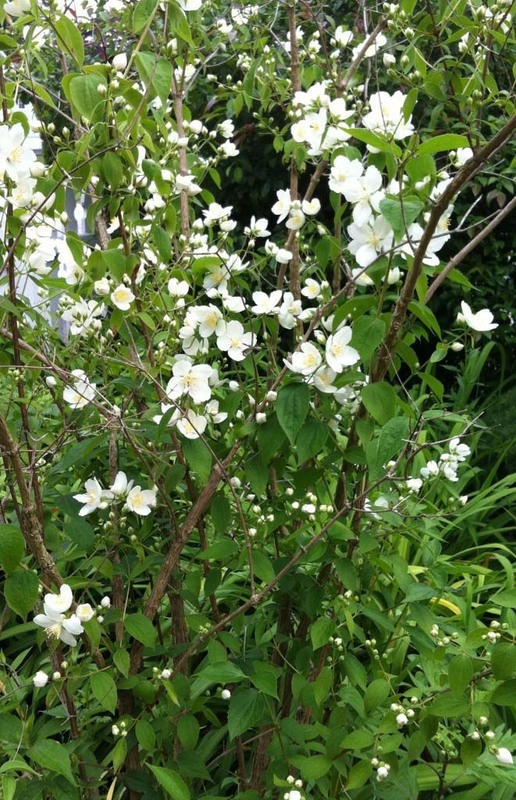 Mock Orange Tree just opened in the front bed. This one has a single form flower. One in the back corner is a double. Both smell wonderful! 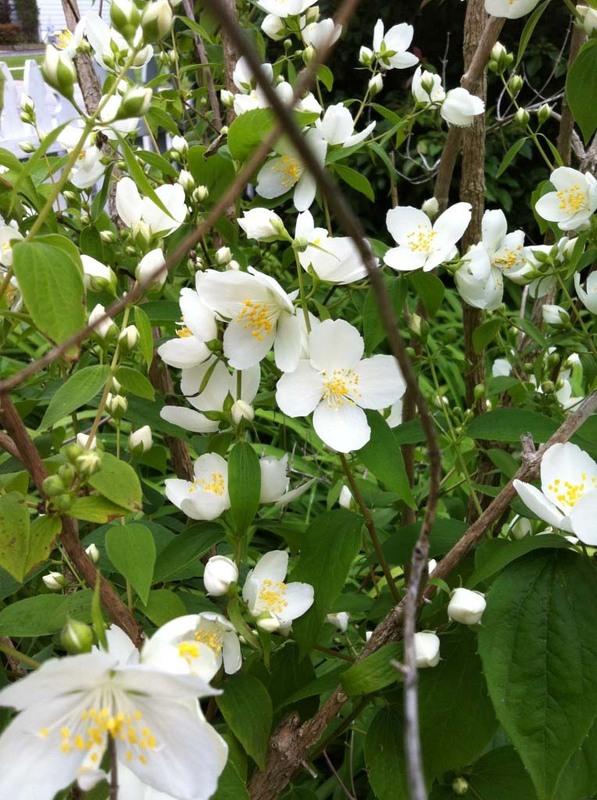 Close up of the single Mock Orange flower. 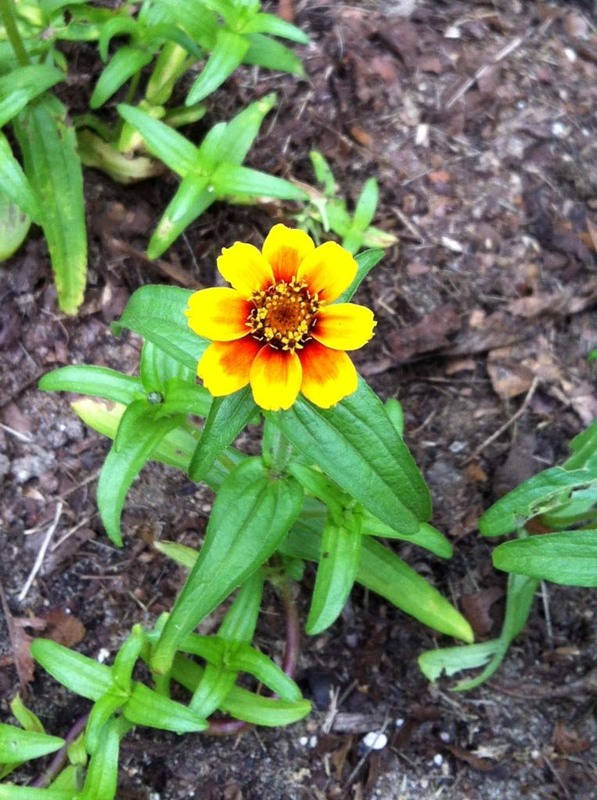 Aztec Sunset Zinnia is the first to bloom in the dahlia bed. 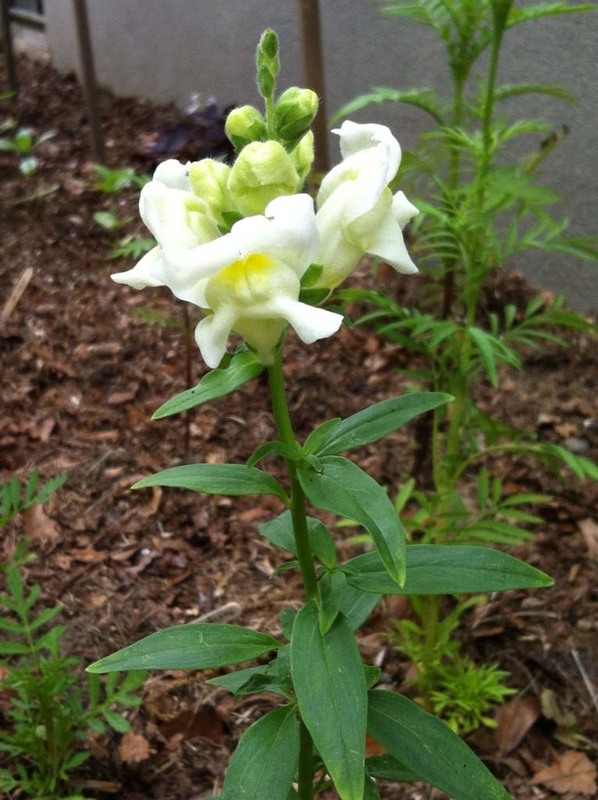 White Snapdragon volunteer blooms in with the poppy seedlings. 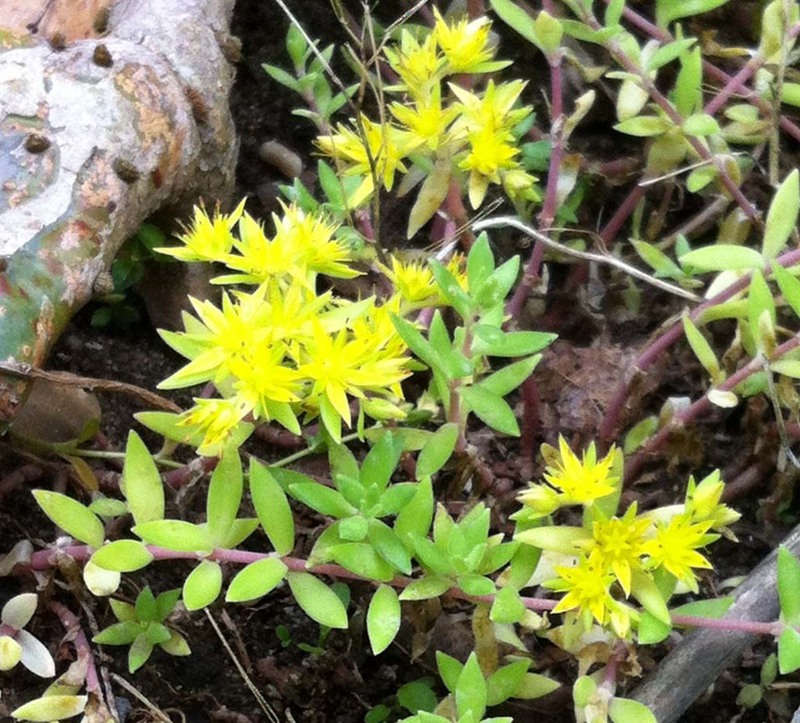 Close up of the Yellow Sedum in bloom. 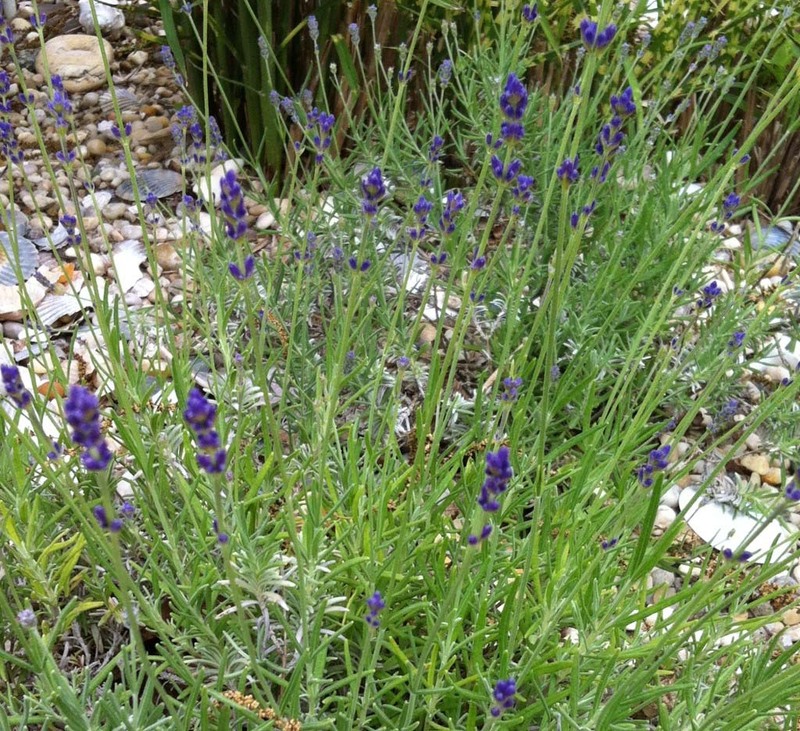 Lavender is blooming in the front and back yards. This stand is behind the pool among the sea shells. 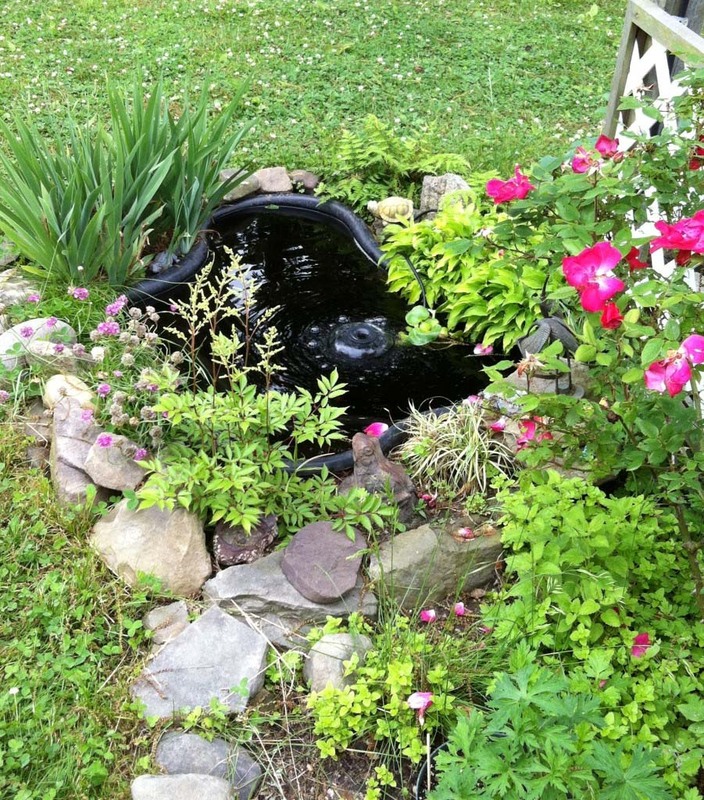 Bob got the pond all ready for the season but, when he put his three year old fish in a bucket to clean the pond, they were gone. We got seven new Goldfish and twenty minutes after we put them in, our cat brought one to Bob in her mouth. He tossed it back in but we only had six in the morning. 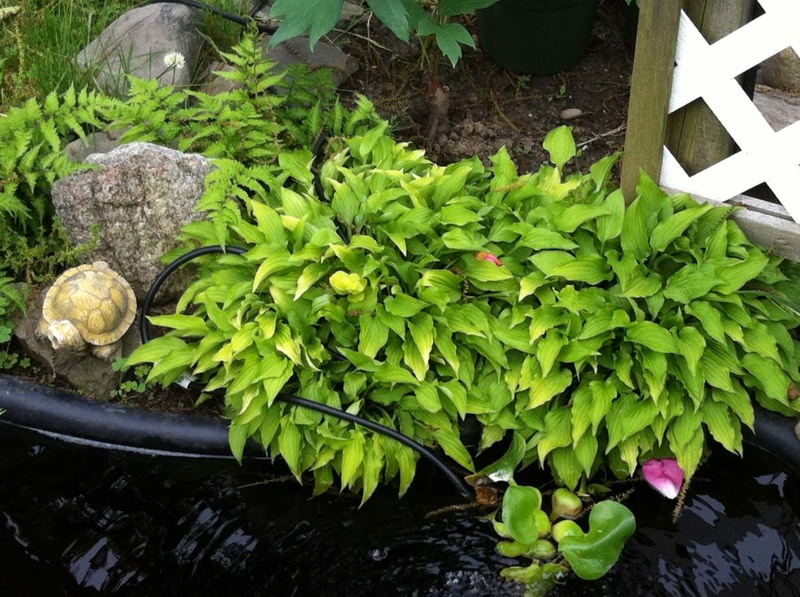 Plant in the pond is a new water Hyacinth. Hosta behind it needs to be divided. 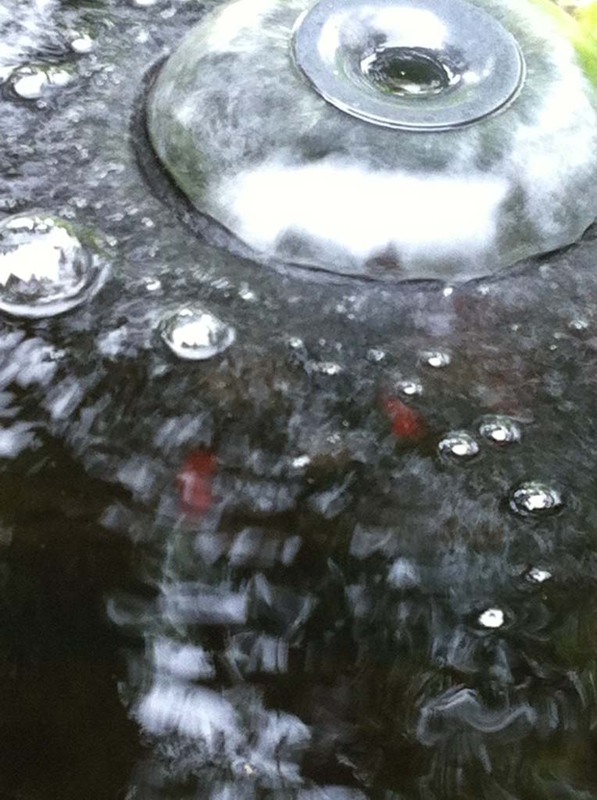 New solar lit glass bird bath from Bonnie in the bed right by the back door. 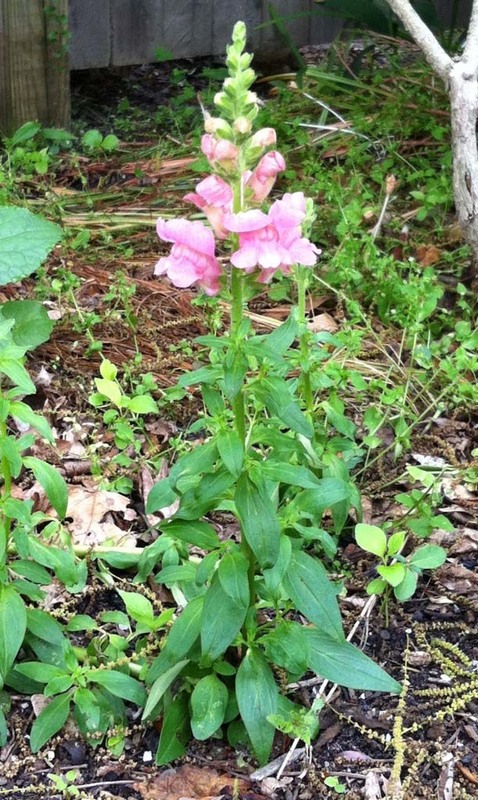 Volunteer Snapdragon came back from last year. Double Mock Orange Tree in the back. 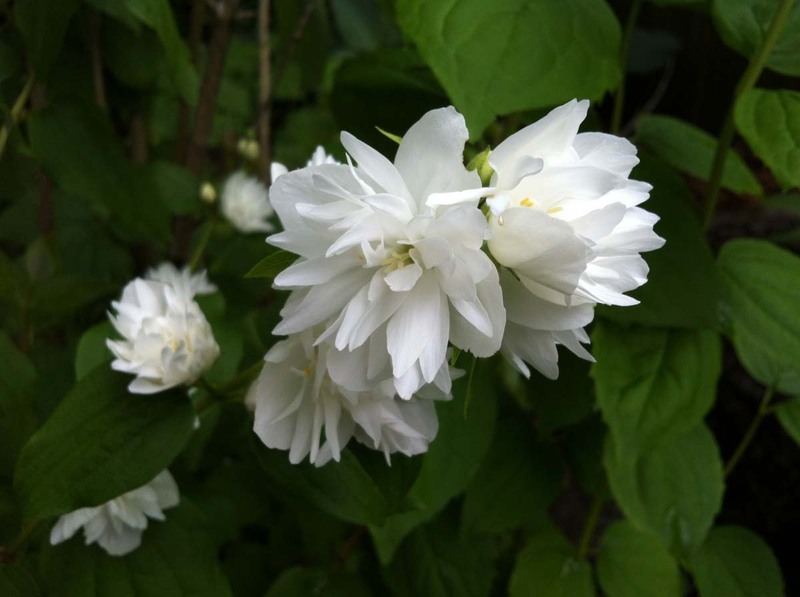 The latin name is Philadelphus. Smells like orange blossoms or jasmine. Smells wonderful! 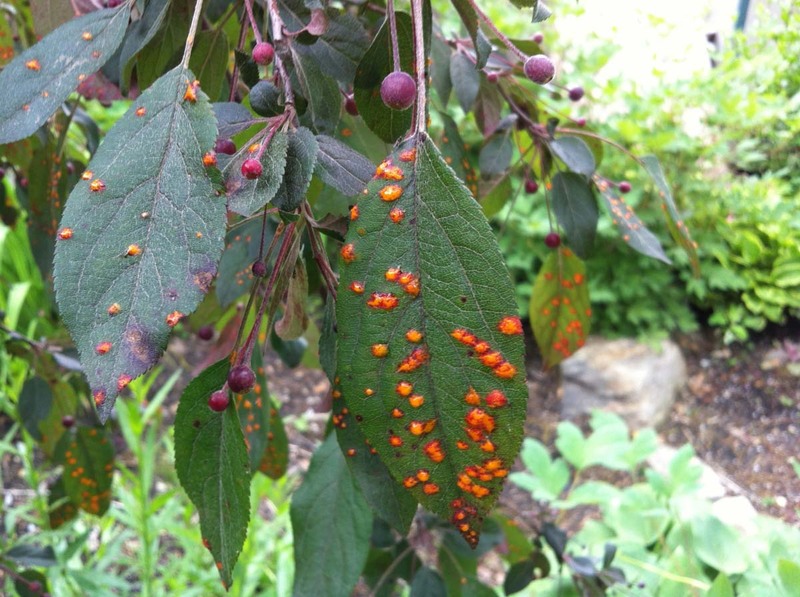 Something is wrong with my Crabapple Ruby Tears. I don't know if it's a scab or a rust but it looks nasty and it is all over it. Anyone know what to do? 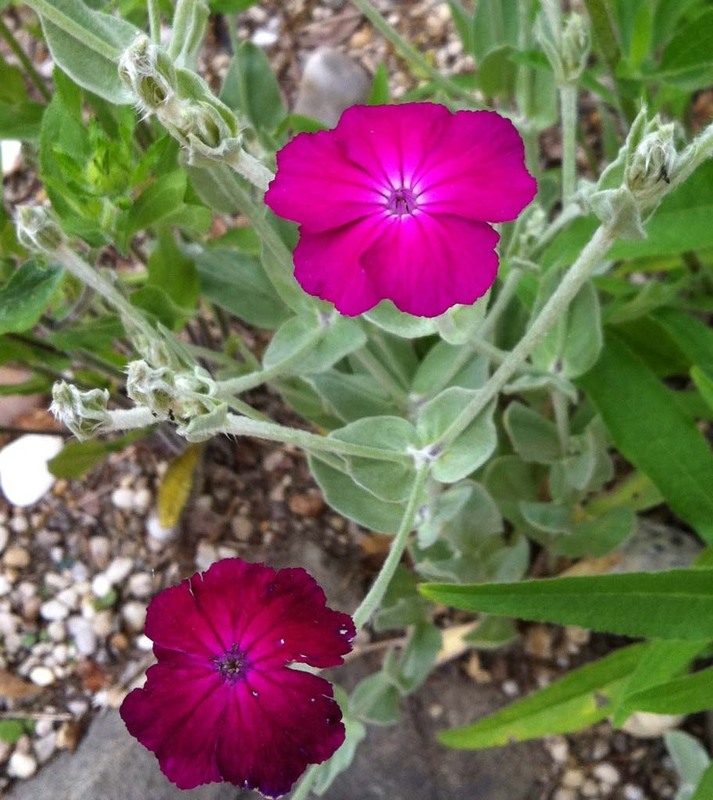 Rose Campion blooms hot pink behind the pool fence. 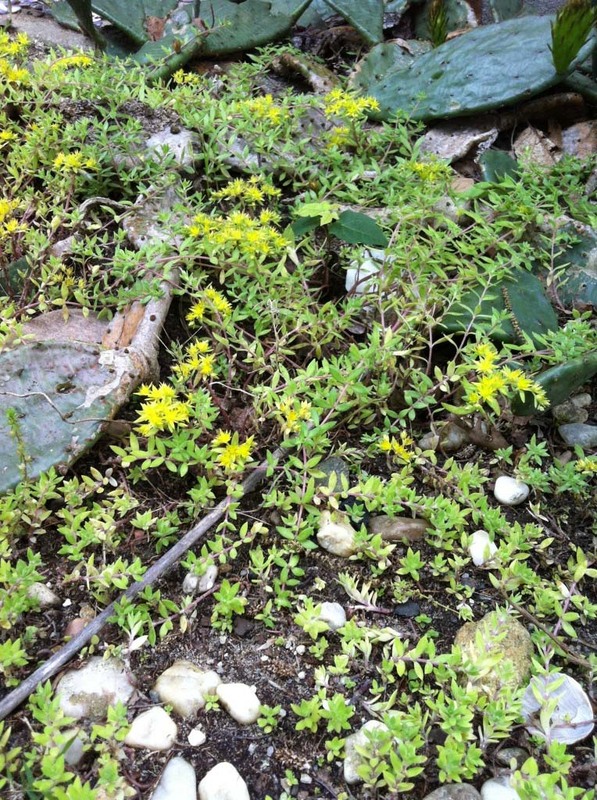 Kind of weedy but I let it stay next to some weedy Yellow Daisies. Large copper containers on either side of the fountain have Cannas surrounded by Gazania, Portulaca, Allysum, and Lobelia. 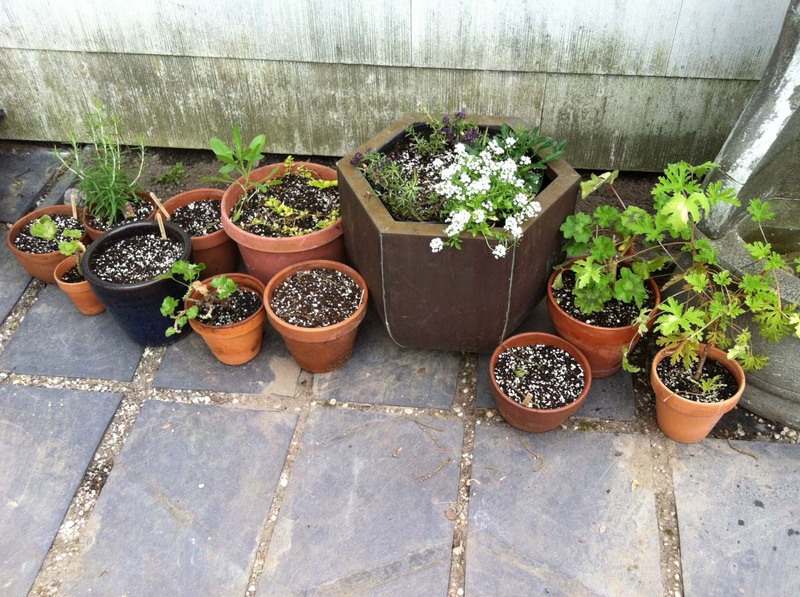 Other containers are full of Geraniums, Rosemary, Tuberose bulbs, and Ranunculus bulbs. 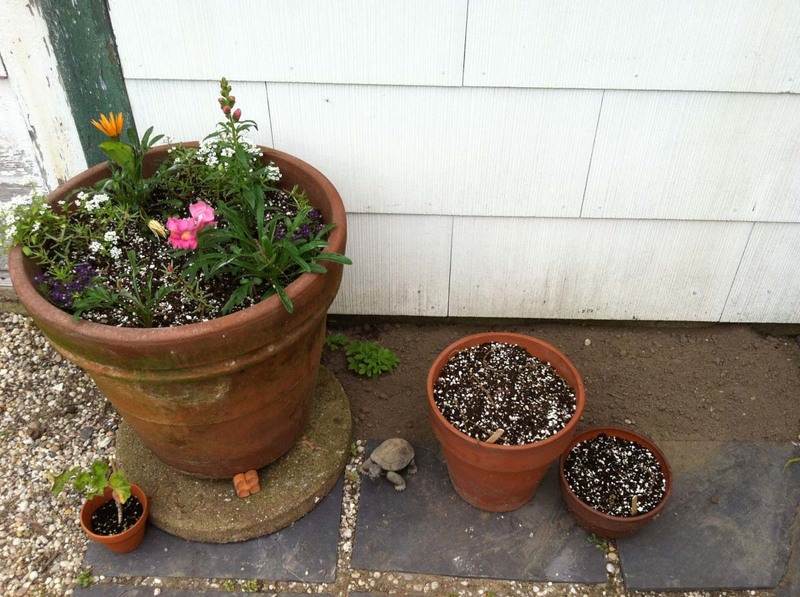 Large Terra cotta containers also have Cannas. This one is on the corner of the garage. Got most of the pool courtyard set up this weekend with terra cotta containers. Door in need of paint leads to Bob's paint shop. Chicken coop is in the back right corner. 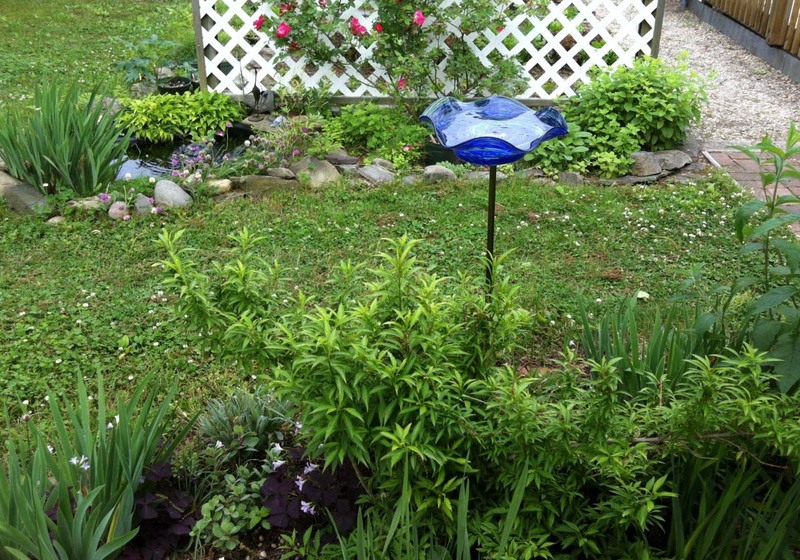 Rose Campion is blooming alongside the pool fence on the far right. Cannas are starting to come up near the containers along the pool fence on the corner where the Zebra Grass used to be. Cell packs in the foreground of tall Celosia and cleomes will go in the beds near the garage walls with Cosmos and Pyrethrum Daisy seeds. 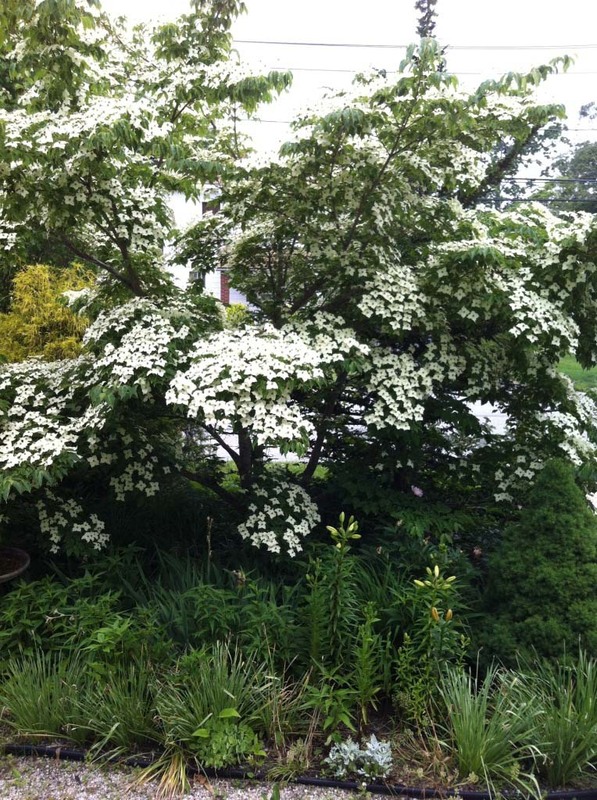 Kousa Dogwood looks spectacular this year. Really loaded with flowers! 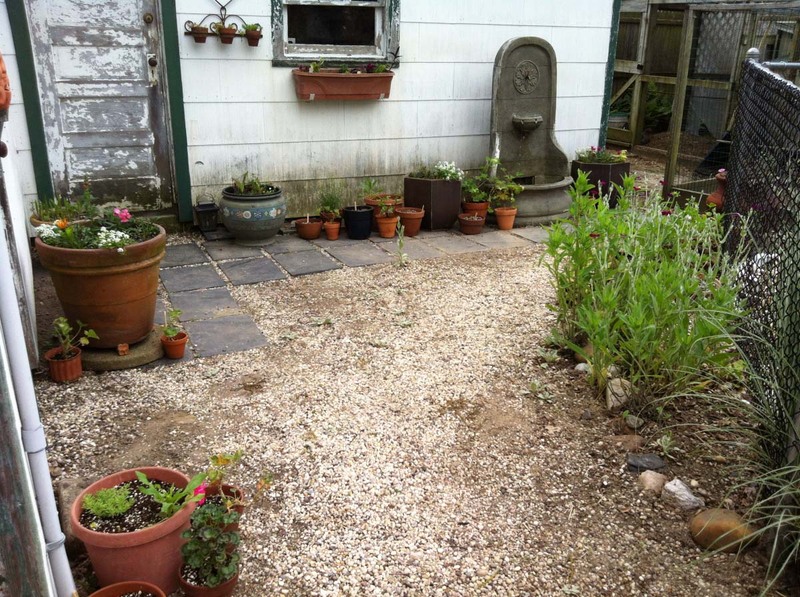 Posted in June Blooms, Our Garden, What's in Bloom and tagged Gardening, Gardens, June 10, LI, LI Gardening, Long Island, Our Garden, VanDyke, VanDyke Gardens, VD Gardens, Whats growing.